Sequester Puts Some Needing Housing Aid 'Back To Square One' Housing authorities across the country have all but stopped issuing rent vouchers as they try to deal with across-the-board spending cuts. Many newly issued vouchers have been rescinded, leaving some people homeless or doubled up with family and friends. Roger Bottomley of Fairfax, Va., has been homeless for 10 years. He expected to get a housing voucher, but then his appointment with the local housing authority was canceled because of sequestration. 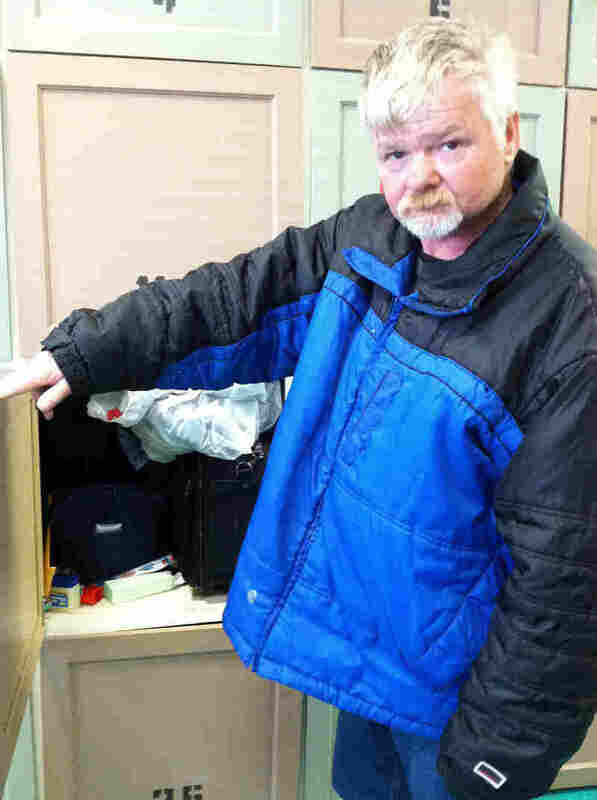 He keeps his belongings in a locker at a homeless day center.